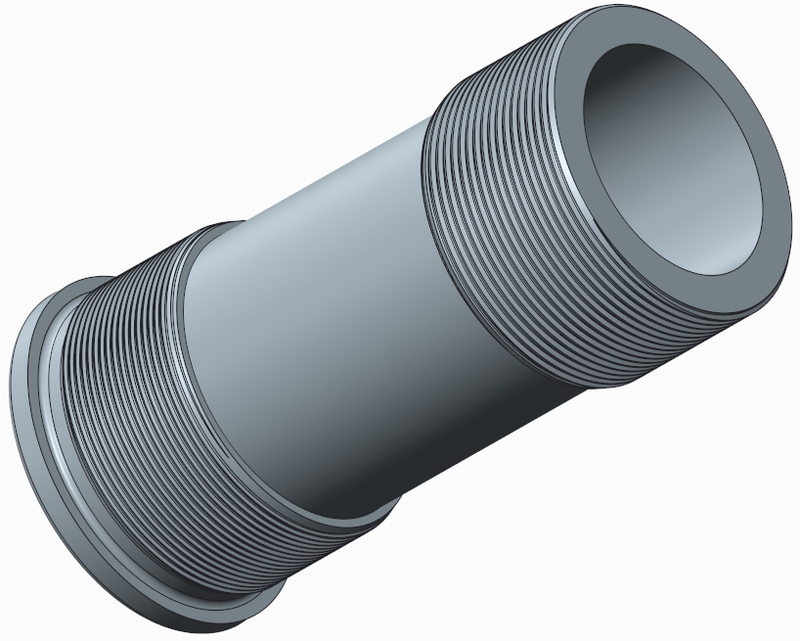 Anyone know how to model these threads (female/hole) in CREO 2.0? Are you looking to actually cut threads into the material? A simple way would be to give the hole properties and the thread call outs. Welcome to the forum, Frank. That's a bottom bracket, BTW. The bottom bracket is part of the frame. Since a huge number of people have misapplied the term to the crank spindle assembly, aka bottom bracket bearing, the term is now damaged and the bottom bracket portion of the frame has to be called the bottom bracket shell for clarity. Looks like the thread is actually a British Standard Cycle Thread (BSC)....slightly different than UTS, UN, etc...but apparently ISO compatible. Anyway, for migrane fun, I modeled the threads using VSS....my favorite since helical sweeps are sooooo ProE v1...and no fun . See attached. 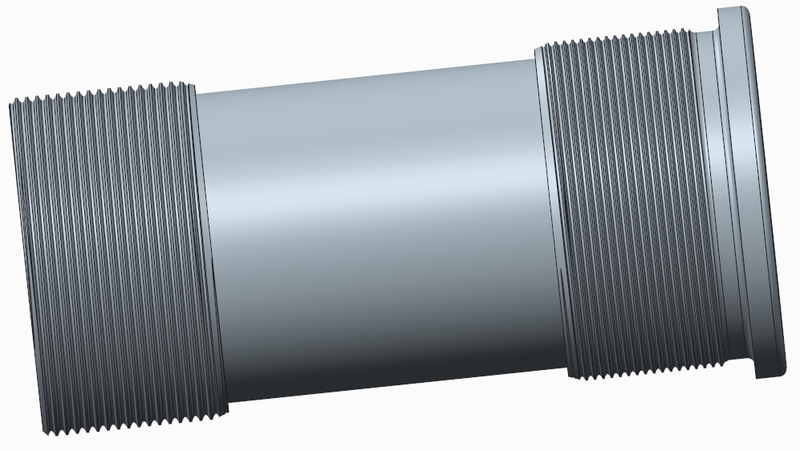 Bottom bracket (or whatever it's called) dimensions are a guess, but the thread should be correct. And the world lost a great resource when Sheldon passed... RIP! LIke I trust Wikipedia over Sheldon for bicycle terms. Heat the frame and cool these parts, slide them in and let them return to normal temps. For sure it's not going to loosen. Be sure to use lubed-for-life bearings. In looking for terminology references I came across Campy using hirth couplings. For anyone but Campy I'd ask why, but if it's expensive and precise, Campy is the company to try it. They also made a wine bottle opener. While many people concentrate on replacing the efficient chain drive on bicycles as some sort of design improvment, it is amazing to me the variety of ways developed to attach the pedals to cranks and cranks to the chainwheel and frame.